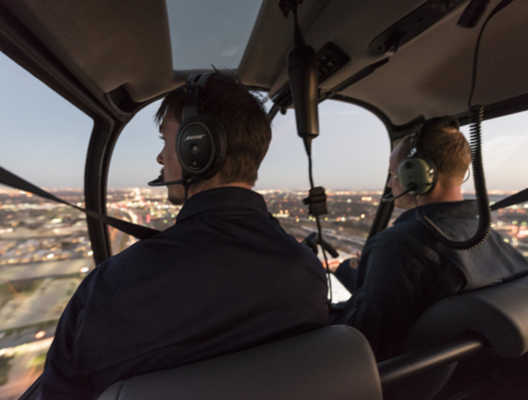 The R-44 Transition Course is designed to safely transition a helicopter pilot into the Robinson R-44 helicopter. The course includes ground instruction on helicopter pre-flight techniques, helicopter performance, special operating procedures, emergency procedures, weight & balance, and helicopter systems. Flight instruction reviews basic attitude flying, emergency procedures, special flight characteristics and general aircraft familiarity. Upon successful completion of the course, the student receives an SFAR 73 endorsement to act as Pilot-in-Command (PIC) in the R-44. 10 hours of flight instruction is required to meet the FAA’s SFAR 73 requirements for PIC designation. 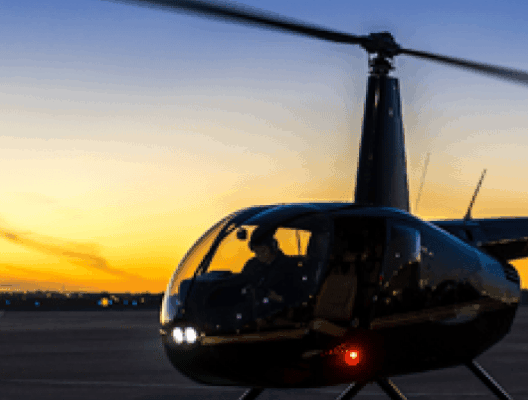 SFAR 73 permits a pilot who has logged dual instruction from an authorized instructor in a Robinson R-22 to apply up to 5 hours of that time toward the 10 flight hour requirement for this course. * Hours are based on FAA minimums, not average completion times. Prices for books & supplies, the knowledge test and the FAA’s practical test may vary slightly.